K500 are meter nozzles able to cater to even the most discerning market requirements. The ability to dispense in pre-selection makes it truly unique. Once the pre-selected quantity has been reached, the nozzle automatically closes the valve and stops dispensing. Its functions are extended by a vast menu. The oval-gear meter makes it possible to achieve high count precision with low flow resistance. The K500 is also available in a type-approved version. 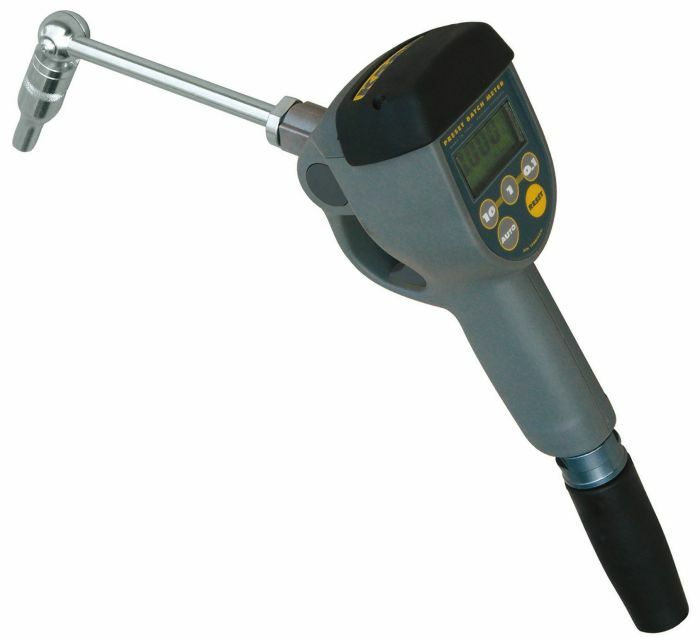 The nozzle makes for easy calibration and dispensing is made easier thanks to the articulated end and swivel connection for reaching any position. The external structure consists of an ergonomic plastic shell with shockproof rubber. The trigger protection prevents accidental operation. Thanks to the threaded outlet coupling, any end can be connected. A large, easy-maintenance, inlet filter protects the nozzle from impurities. Thanks to the sealed battery compartment it can be used in any condition. K500 are unique and indispensable tool for industry operators.